Bluehost has developed into one of the more popular web hosts in the industry as they have recently surpassed the 2 million mark in terms of domains registered to their servers. They offer tremendous value for the three different shared hosting plans that they offer, which include a Basic, Plus, and Business Pro package. How Many Websites are Allowed With Each? Basic Plan users will only be allowed to create one website while both the Plus and Business Pro Plans allow for the creation of an unlimited number of websites. It should be noted that the Plus and Business Pro packages also include the ability to have an unlimited number of subdomains for each website. The Starter option allows for a maximum of 25 subdomains. What are the Pricing Differences Between the Plans? The Basic Plan is obviously the cheapest of the three plans and comes in at $3.95/month when paid on a recurring basis. The Plus plan is priced at $6.95/month for recurring payments while the Business Pro plan is $14.95/month. Bluehost also offers discounts for the first month of the plan and lower monthly payments when committing to longer terms. How Many Email Accounts Can Be Created for Each Plan? For the Basic plan, users will have the ability to create up to 100 email accounts and will have 500MB of storage available for the combined accounts. Plus and Business Pro users will be able to create an unlimited number of email accounts and will also have unlimited storage space for all of the accounts. Another interesting aspect of the Plus and Business Pro plans is that they feature SpamExperts, which helps to ensure that spam and malware is limited. This is not, however, included with the Basic option. Does Each Plan Include a Dedicated IP Address? No. Unfortunately only the Business Pro plan includes a dedicated IP address. While a dedicated IP is not always necessary, it will be vital if you plan on purchasing a private SSL certificate so you can have the ability to collect financial information directly through your website. Basically anyone that intends to have an e-commerce store will want to have a dedicated IP address. Are Shared Hosting Plans Scalable? It depends. While all of the shared hosting plans have an unmetered bandwidth, you will be asked to upgrade your account if you continually exceed a certain amount of data usage. If you have a website that you anticipate having hundreds of thousands of monthly visitors, you will probably be better off going with a VPS or Dedicated Server Plan that will scale as your website grows. Bluehost has actually created their own enhanced version of cPanel that is supposed to allow users to websites, files, emails, etc. While there is not much information from users on their opinions of this upgraded cPanel, you do have the ability to test it out for yourself by going to their website. Do Plans Include a Content Delivery Network? Yes. Each plan has CloudFare already installed into it. With CloudFare, you will have the ability to more easily work through your content marketing strategy as well as have the ability to take a look at analytics that will enable you to continually improve your efforts. This third party service also includes enhanced security for your website and gives you the ability to install additional apps with a single click. Do You Have the Ability to Control Access to Different Areas of the Account? Yes. One of the more unique perks of choosing Bluehost’s shared hosting plans is the fact that you can control access to different parts of your account. You have the ability to create unique passwords for everything from cPanel and billing to server access and ownership information. This is a major feature if you plan on enabling access to employees. What Are the Major Differences Between the Plus and Business Pro Plans? While the Plus and Business Pro plans are very similar in terms of the technical features that come with it, the major difference between the two is the extras that are available with the Business Pro package. Pro users will receive a dedicated IP address, SSL certificate, increased domain privacy, and a SiteBackup Pro feature that enables you to more easily backup and access specific files, folders, etc. Overall, Bluehost advertises that you receive over $180/yr in extras with the Business Pro plan and only $24/year in extras with the Plus plan. As would be expected, most of the additional features included with the Business Pro plan are intended to help business owners grow their brand online. Yes. 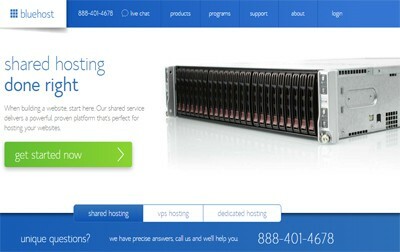 BlueHost actually has an in-house team of experts that provides 24/7 technical support to shared hosting users. They offer expedited support that allows you to get immediate assistance for any issues related to your server. They can also quickly get in touch with the engineers that maintain your server to be sure that any troubleshooting can be done as quickly as possible. Only the Business Pro plan includes a dedicated IP address. At the end of the day, Bluehost offers great value with all three of the Shared Hosting plans that they offer. While the Basic plan is generally intended for low traffic websites or small business owners that simply want some type of digital presence, the Plus or Business Pro plans are definitely recommended if you plan on having any type of significant traffic on your website. Fortunately, no matter what plan you choose, Bluehost does make it easy to upgrade to a higher level account when it comes time to grow your website. With the 30-day money back guarantee that Bluehost offers, there really is no harm in giving them a try.